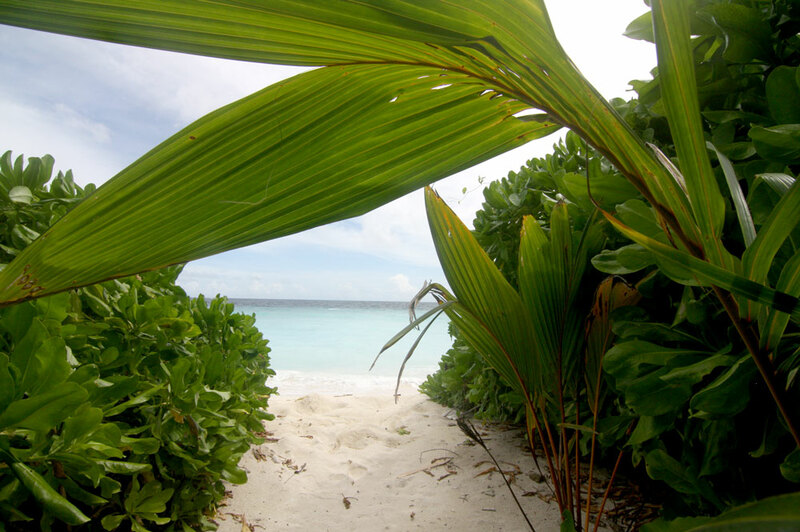 “AAA” Tours – Stay on four islands over eight days in the gorgeous Alif Alif Atoll! During your stay you will explore Thoddoo, Rasdhoo, Ukulhas and Mathiveri islands. And what is more having a taste of Paradise needn’t break the bank! Arrive at Male international airport excitedly anticipating your “AAA! 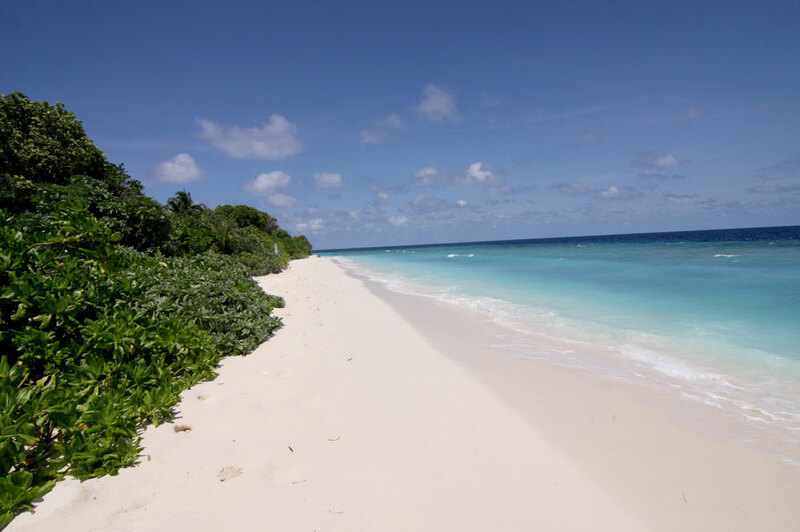 Alif Alif Atoll tour holiday in Maldives one of the last paradises left on earth. The journey begins with a speed boat transfer from Male’ to Rasdhoo or alternatively a transfer by scheduled ferry. Alternatively, take a luxurious seaplane transfer from Male’ to Mathiveri Island, arriving at Gangehi resort’s platform, before transferring by boat to nearby Mathiveri. You will arrive at Mathiveri just after lunchtime and after dropping off your bags will be directed to the guest house restaurant where you’ll be greeted with a welcome drink of fresh coconut. 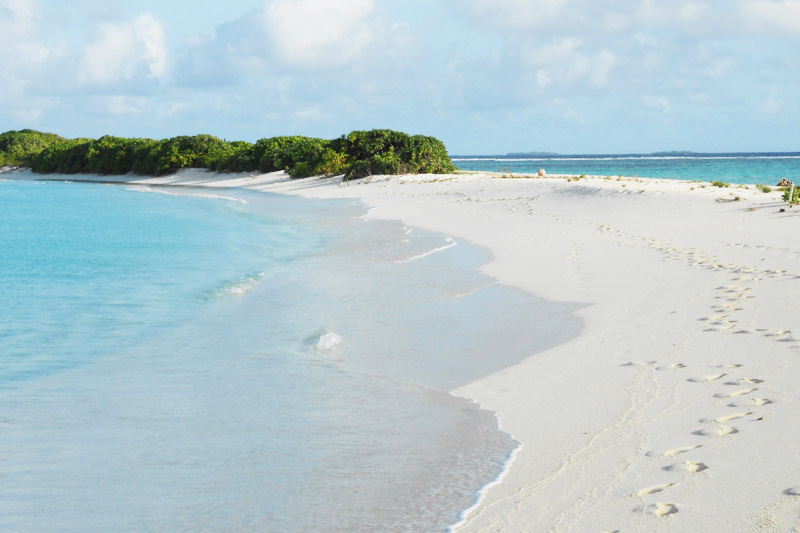 After eating your fill, unwind on the snow-white sandy beach around the island to start off your suntan. While using this guest house hotel as your base, you can transfer directly to other islands for activities such as diving and snorkelling excursions, fishing trips, and desert island destinations. It is also possible to visit local resorts. You can take a transfer to Mathiveri Finolhu, a relaxing private island within sight of the main island fringed with white sandy beach and surrounded clear blue crystal water. Since this is an uninhabited island, it is possible to wear a bikini. The Maldives has the most beautiful tropical scenery, graceful coconut palms leaning over crystal-clear lagoons. 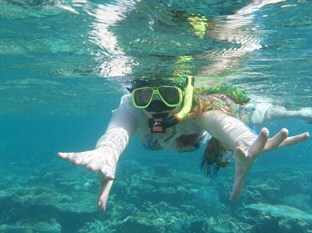 Plus the coral reefs promise great snorkelling. White sandy beaches sparkling in the sun alongside crystal clear lagoons are the idyllic place to spend a perfect day. 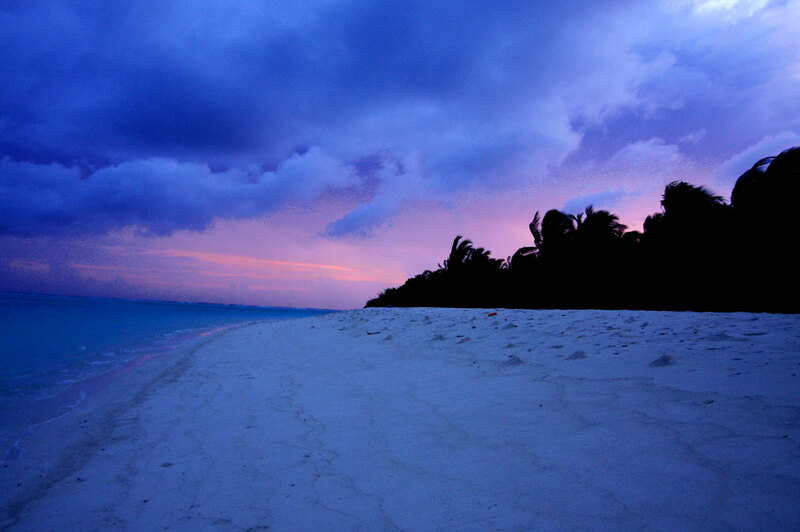 In the evening enjoy the unique Maldivian sunset. The price includes all guest house facilities and you’ll be provided with fresh towels plus unlimited tea, coffee and water during your stay. You may then wish to go night fishing to catch your own fish to eat during a Maldivian barbeque on the beach underneath the stars before retiring to the guest house to play cards or take an early night ready for the next days activities. Note: Transfer by public ferry price included in the package. However you will pay extra for speed boat and seaplane transfers. Today you are set to go snorkelling in the beautiful clear waters to observe the breathtaking marine life for which the Maldives is renowned. Alternatively a day visit to Velidhu Island resort. (Activities price excluded from the package) could be arranged where you can enjoy the facilities and amenities including the bar – it is prohibited to drink alcohol on inhabited islands. Or you can explore the local island shops, unwind in the cafe’s and try local dishes. Opting for the latter will give you an insight into the Maldivian art and culture, although generally on Friday’s the Islamic holy rest day, everything closes during the morning for prayer and worship. As before, you will stay at the beautiful modern Mathiveri Inn guest house. 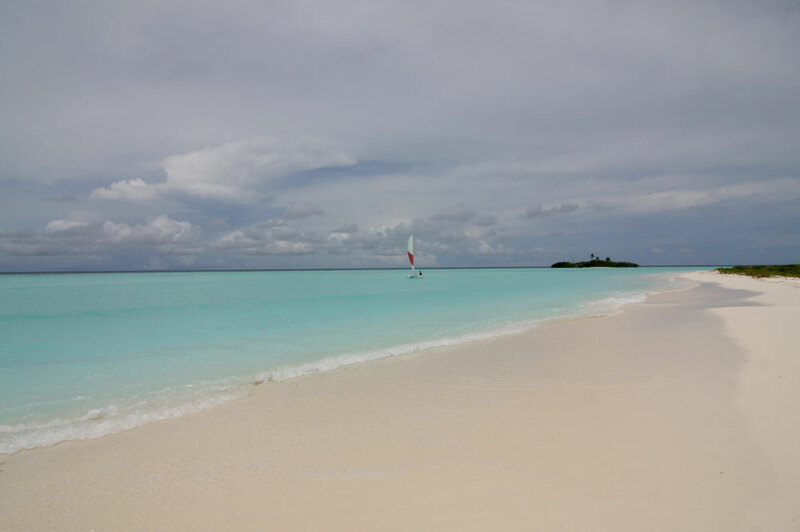 After breakfast, around 8.45am, you will depart to your second destination island of Ukulhas. This inhabited island has gorgeous beaches upon which you can stroll and relax upon. The people of Ukulhas are friendly and the island is famous for its ‘yellow fin tuna fishing industry, so here you can find some of the freshest seafood in the Maldives. During the evening either relax at the guest house or venture out into the community to try some of the many restaurants. Ukulhas food is spicy even though restaurants are ready to meet up your taste requirements by making it milder. Sweet, sour, hot and spicy foods are the staple diet of islanders. Ukulhas cafés and restaurants operate most days apart from Friday from early morning to 1 am and serve “short eat” snacks. These are both hot and spicy savouries are made of smoked fish, grated coconut, lime juice, onion and chilli or sweet items are made from flour, sugar, and essence. They are usually served with a cup of black tea (kalhu sai) or coffee. Enjoy local entertainment here by ‘Boduberu’ bands playing a fusion of drums while singing and dancing the night away. Alternatively with a group of friends lay out a picnic and relax under the stars on the beach, before retiring back to the guest house. Rise early to enjoy one of the many excursions available, including island hopping, snorkelling excursion, night fishing, game fishing or water sports activities. Alternatively, enjoy a sumptuous barbecue lunch on a nearby deserted island where you can stroll on the beach uninhibited in a bikini. Again your base will be on the main island. Following a breakfast made up of island fruits and mashuni roshi (a local tuna and coconut delicacy), you will depart for your third destination Rasdhoo Island. 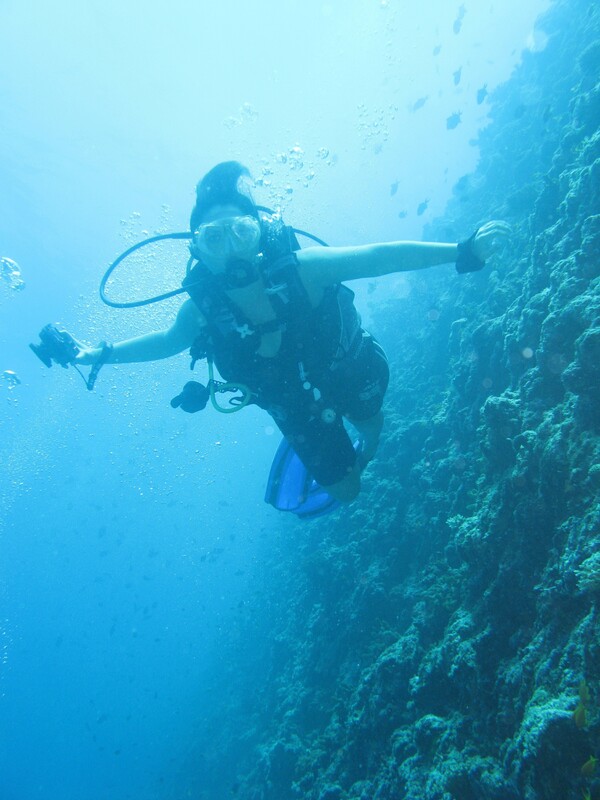 Here you can enjoy the diving activities which the Maldives is renowned for. The profusion of psychedelic colours and the abundance and variety of life underwater have fascinated divers and snorkelers since these islands were put on the map as a diving destination. Rasdhoo is close to some of the best dive sites in the Maldives. Warm temperatures throughout the year make diving in Maldives a delight to experience over and over again. After diving shake off your fins and take a walk around the various souvenir shops. Since you will stay overnight on this island, seek out some local food and relax ready to start the next day’s activities. After breakfast you can explore the natural wilderness of the uninhabited island of Madivaru. 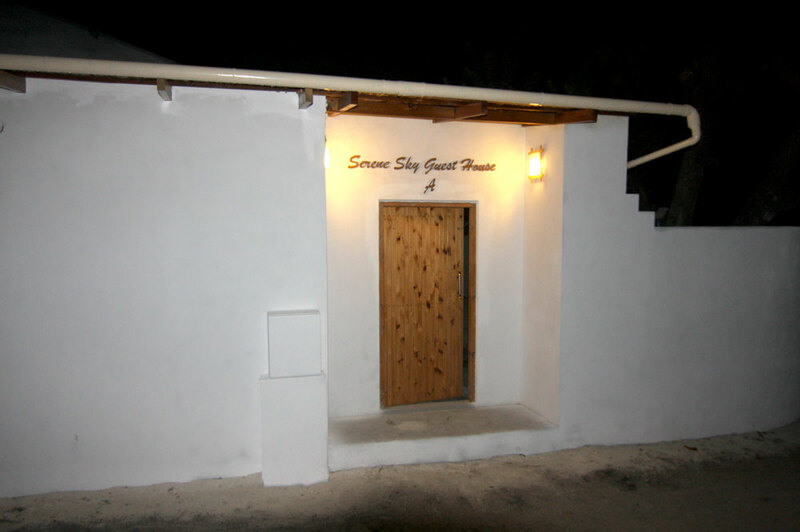 Enjoy the sights and sounds of this lovely island destination Thoddoo and stay at the Serene Sky Guest House. This will be your final destination in your package. 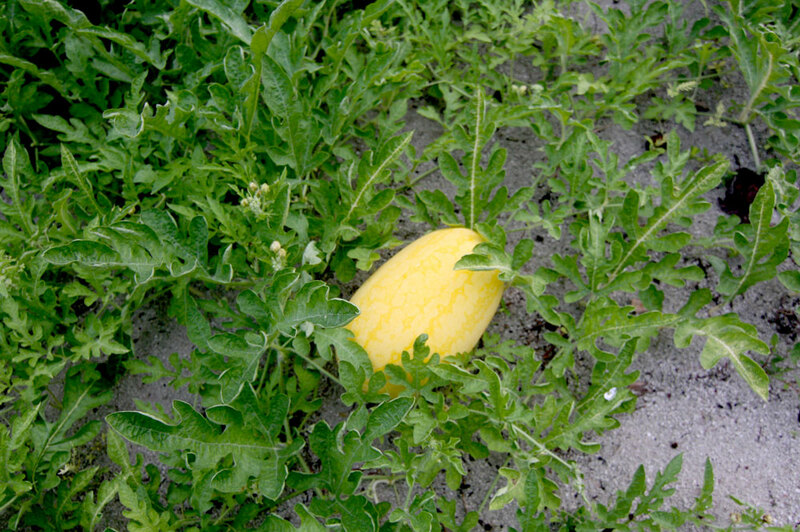 What makes this island special is its organic agriculture fields. Upon arrival you will be given a free fruit of basket. The island is much bigger than all the rest and so you will be given a free bicycle to explore your surroundings. There is also a special beach area for guests who want to relax in a bikini. You will spend the evening on Thoddoo Island in a lovely guest house. Today you can relax at your leisure for the entire day on Thoddoo. Laze around on the beach and take a dip in the sea, enjoying snorkelling along the splendid coral reef, Furthermore, the house reefs of most of the islands are just a few strokes away from the beach. 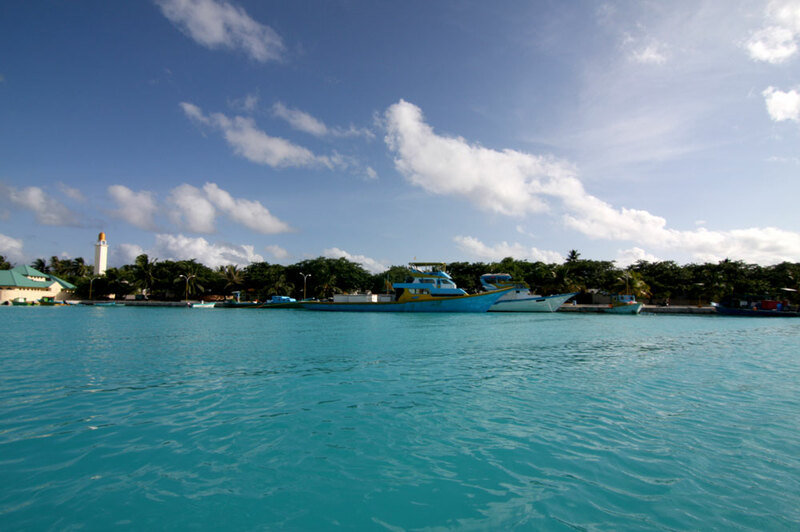 The island organises regular snorkelling excursions, giving visitors a chance to experience the diversity of marine life and reef structures in the area. The serene atmosphere which this landscape offers is very hard to find anywhere else in the world. Enjoy the in-house facilities provided by the guest house including fruit and vegetable excursion, fishing trips and water sports. During the evening take a Big Game Fishing trip to catch your own reef fish to barbeque, or opt for a romantic dinner on the beach made up of fresh local organic fruits and vegetables. Transfers are available everyday by scheduled speed boat and local ferry connecting directly to Male’ International Airport. Treasure all the beautiful memories which you have encountered during your special holiday. We can also tailor-make your package. You can stay for as little or as long at any island, depending on local connections. We can shorten the trip to four nights or extend out to 14. The choice is yours! Interesting website! Are you available to take in two persons on 6/12/14 – 11/12/14?